Double Baby Photo Frame 3.5"x5"
8"H resin stone mix, holds (2) 3.5"x5" photos. 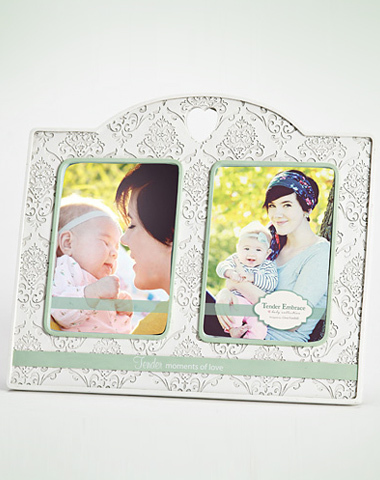 This adorable baby photo frame has an engraved damask pattern and die-cut open heart at the top of the frame. Display 2 of your favorite baby photos. A beautiful addition to add to your babies room.